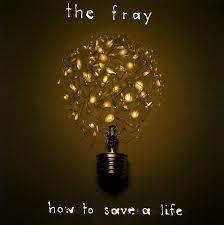 The Fray took over radio in 2005 and 2006 with their second full-length CD, How To Save a Life. Led by the titular single and other classic smash, "Over My Head (Cable Car)," The Fray made themselves ultimate players in the pop-rock genre. The album was filled with songs that could have easily been hit singles like "She Is," "Look After You," and "Hundred." The piano driven instrumentals played by lead singer Isaac Slade created either a happy, joyful beat as found in the opening track "She Is" or a more sentimental, softer side of the band like the two singles and "Hundred", just to name a few. Lyrically, this is arguably The Fray's finest release and undeniably the one that put them on the map. Following with their self-titled album, Scars and Stories, and Helios, How To Save a Life still stands up today and is honestly better than most pop records being released, even nine years after its debut. If you're looking for a great album to listen to during homework, a ride home from work, or one to listen to because you're in the mood for great music with great and inspiring messages, look no further than The Fray's masterpiece album, How To Save a Life.